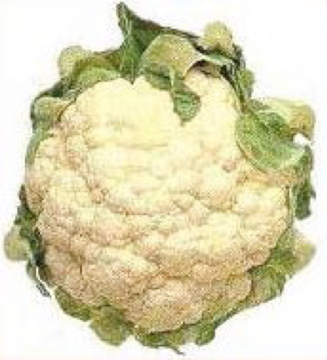 Cauliflower is a very versatile veggie: it can be pureed and seasoned for a dip, or to stand in for potatoes when pureed; it makes a great base for a curry; is a simply wonderful soup (as in this recipe); or a side dish, steamed with melted butter added, or braised in olive oil. Garlic is probably one of the most beneficial herbs/veggies. 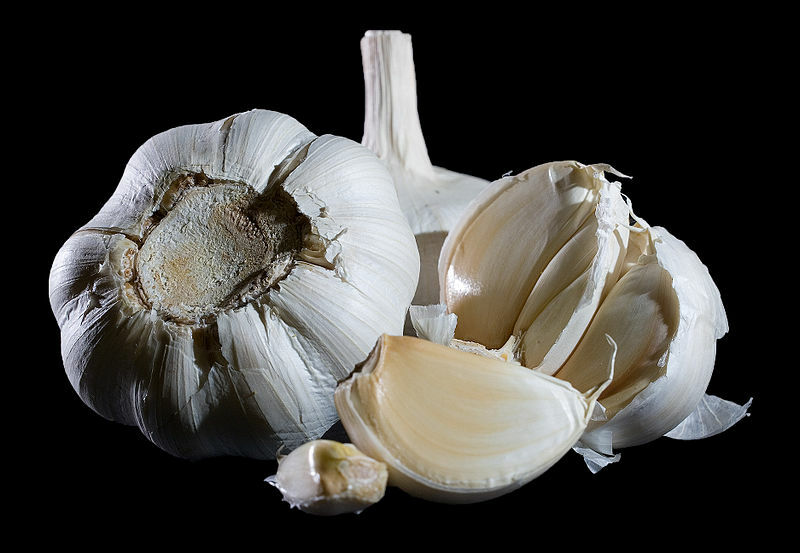 While many of its benefits are only found in raw garlic, it also has some benefits when cooked. It boasts a far different, almost sweet flavor after roasting. 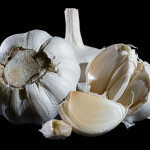 Check out my article on Garlic (About) or the Better Nutrition article (1) for lots more information on its benefits. This recipe is adapted from an article about the health benefits of garlic in Better Nutrition Magazine, Nov 2012 (1). The original serves 6 but I’ve adapted it for 2 servings. Roast garlic in its peel, then let cool enough to handle. Squeeze our 2 Tbsp garlic pulp (or more, to taste) and mash. 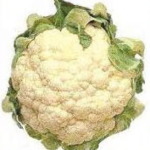 Wash cauliflower and separate into florets. Peel potato and cut into cubes. Chop enough onion to fill ⅓ cup. Place potato, cauliflower, onion, salt and 1 ¾ cup filtered water in saucepan. Cover and bring to a boil, then reduce heat and simmer about 20 minutes, until veggies are tender, adding more water as needed to prevent sticking or burning. Add milk, mashed garlic, tarragon and pepper. Blend with handheld blender, right in the saucepan (or blend in batches in a regular blender, then return to saucepan to warm). Adjust seasoning and add more milk if soup is too thick. This entry was posted in Dairy, Herbs, Leafy Veggie, Onion family, Root Veggie and tagged cauliflower, garlic, milk, onion, potato, tarragon. Bookmark the permalink.